A tour for textile designers, weavers, fibre and craft lovers, taking in stunning handwoven textile studios and exclusive fabric houses in Florence, regional Tuscany and Perugia. Enjoy 5 days of hands-on weaving workshops and 7 days exploring beautiful central Italy visiting the few remaining artisans and textile designers still working in the Italian handmade ‘tessitura a mano’ tradition. We’ve worked with master weavers Fondazione Lisio and Patricia Kinsella to create exclusive workshops for The Tour Studio. Patricia Kinsella’s workshop caters to all levels, from beginners through to experienced weavers. 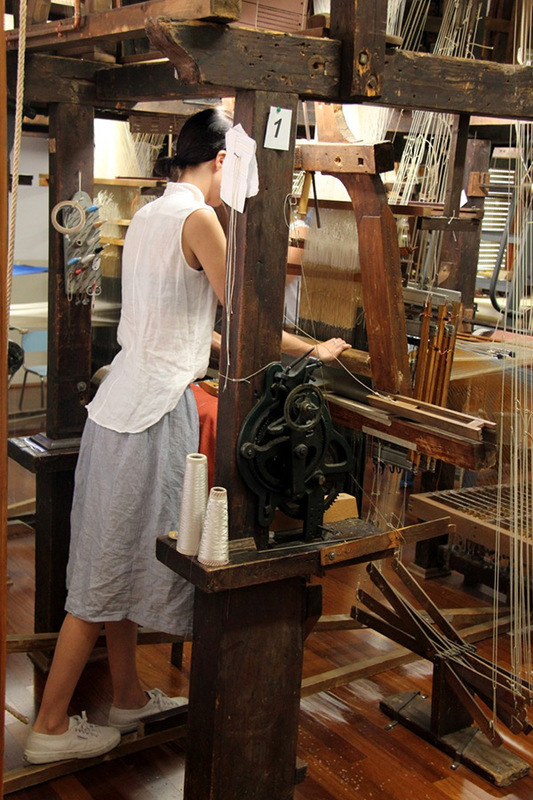 Fondazione Lisio is suited to experienced weavers and textile designers. 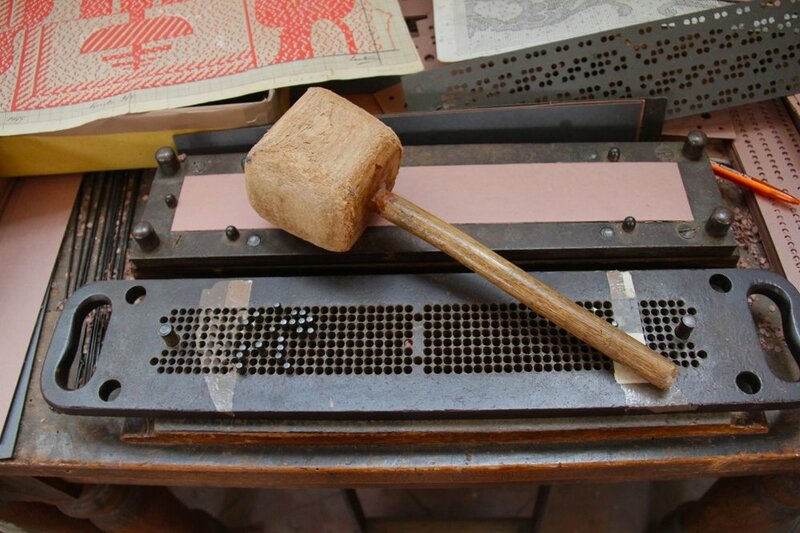 We’ll also visit textile designers Margherita Pandolfini and Karl Jorns at La Serra MK Textile Atelier. La Serra MK Textile Atelier design and produce limited edition hand painted textiles for the home, taking inspiration from their unique ‘Greenhouse’ atelier overlooking the garden of Palazzo Pandolfini. 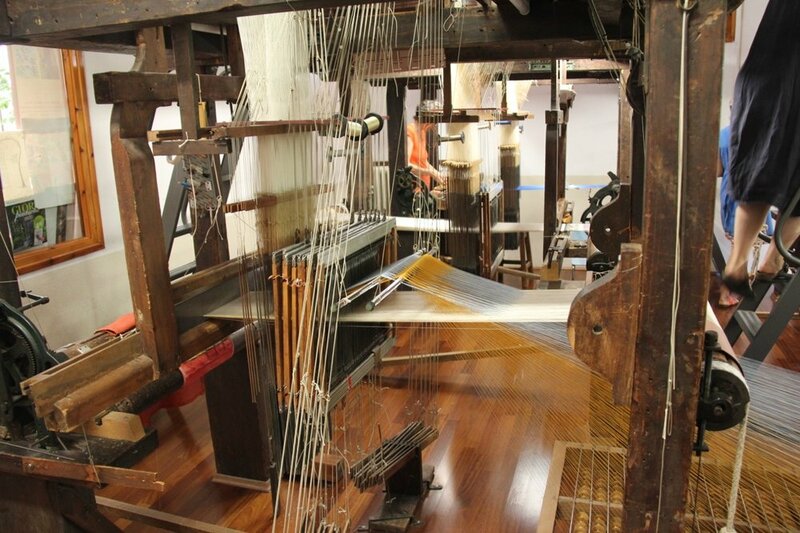 During a day trip to Prato we’ll visit selected textile destinations, including the Museo del Tessuto (Prato Textile Museum). Museo del Tessuto’s archive consists of thousands of textiles from ancient to contemporary times, including the most significant collection of Italian Renaissance textiles in the world. A limited selection of textiles from the collection are exhibited at the museum. In between textile destinations, there’ll also be the opportunity to visit some of Florence’s most beautiful museums, including Palazzo Davanzati, Museo dell'Opera del Duomo and Biblioteca Medicea Laurenziana. Choose from two 5-day hand weaving workshops with Fondazione Lisio (for experienced weavers) or Patricia Kinsella (for beginner - experienced weavers). The Fondazione Arte della Seta LISIO is dedicated to the art of traditional and contemporary weaving using the finest techniques for hand-weaving silks and precious metals. The foundation is located in the hills surrounding Florence and houses a specialist Library, Archives and a Collection of Ancient Textiles. LISIO have customised a workshop for us on their jacquard handlooms, where you will punch your own cards and weave a small personal project. This is a once in a lifetime experience, and an opportunity to work with an Italian master weaver. Workshop instructor Eva Basile is a designer and textile artist. She studied textile design and weaving at the Istituto Statale d'Arte Firenze, Visual Arts at University of Bologna and Jacquard woven design at Fondazione LISIO. She has exhibited widely, collaborated with various textile companies, and has studied weaving practices in Ghana and Turkey. Eva has been teaching at LISIO since 1994. Patricia has curated several exhibits at the Textile Museum of Prato. Her work has been exhibited extensively and is represented in collections at Museum of Arts and Design NY, The American Craft Museum NY, The Smithsonian Institute NY and Cooper-Hewitt Museum NY. In 1985 Patricia opened her textile design studio in Prato, where she continues to work for many local mills. Patricia has taught at several Florentine institutions, including Polimoda, Syracuse University, SACI and FIT Florence. 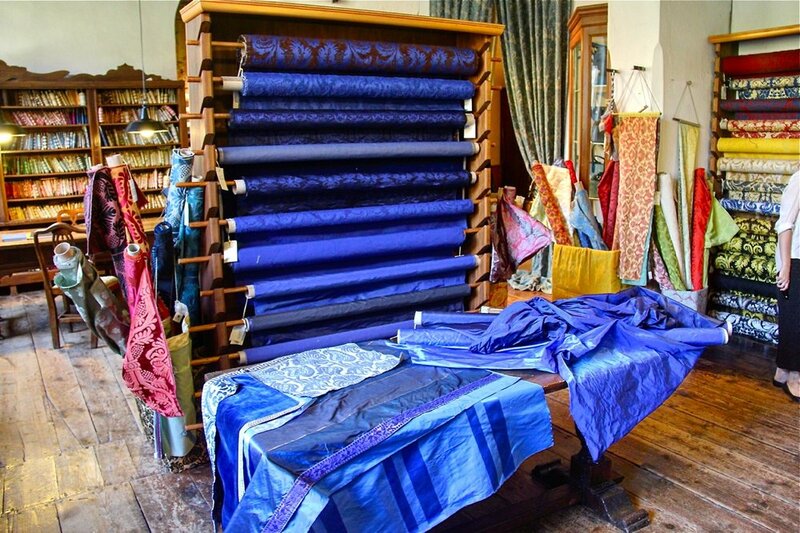 Patricia’s workshop offers an insight into Florence’s textile history, the current local textile scene in Florence and Prato, and includes a visit to a local yarn shop in central Florence. Patricia’s weaving classes are currently held at Tessilarte weaving atelier in Florence, makers of fine Italian linen since 1947. In 2020 Patricia will be relocating her weaving workshop to her space in Prato. Departing Florence by private bus we head to the medieval hilltop town of Anghiari, for a private tour through the headquarters of Tuscan fabric house Busatti. Located in Palazzo Morgalanti, we’ll visit the original Busatti factory floor, the extensive showroom and original Busatti family apartment. Following lunch and a chance to explore the town we head to the Umbrian capital of Perugia, checking in at our hotel in the superb historic centre. While in Perugia we’ll take in Galleria Nazionale dell'Umbria’s stunning collection and drop into the beautiful Perugian institution Pasticceria Sandri. At the amazing Brozzetti workshop located in the historic Church of St Francis for women, we'll meet Marta - a third generation weaver, textile and interior designer. 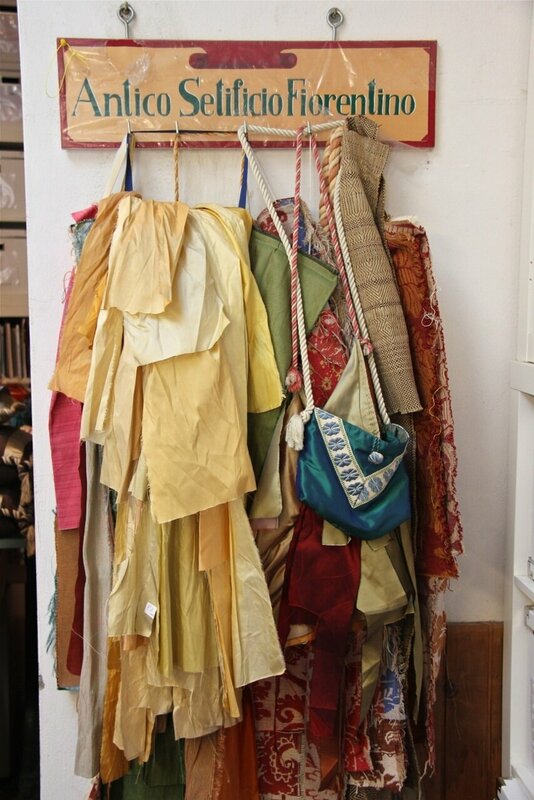 Marta will guide us through her incredible atelier and discuss traditional and contemporary Umbrian textiles. We’ll also visit the historic glass studio of the Moretti Caselli family, where five generations of glass painters have worked since 1860 in a 15th century Perugian residence. There will be plenty of free time to wander Perugia, enjoy the local delicacies and partake in a siesta, before departing to the airport or train station on the final day. While in Florence we’ll be staying at the beautiful Palazzo Guadagni hotel located in the Oltrarno quarter, south of the River Arno. 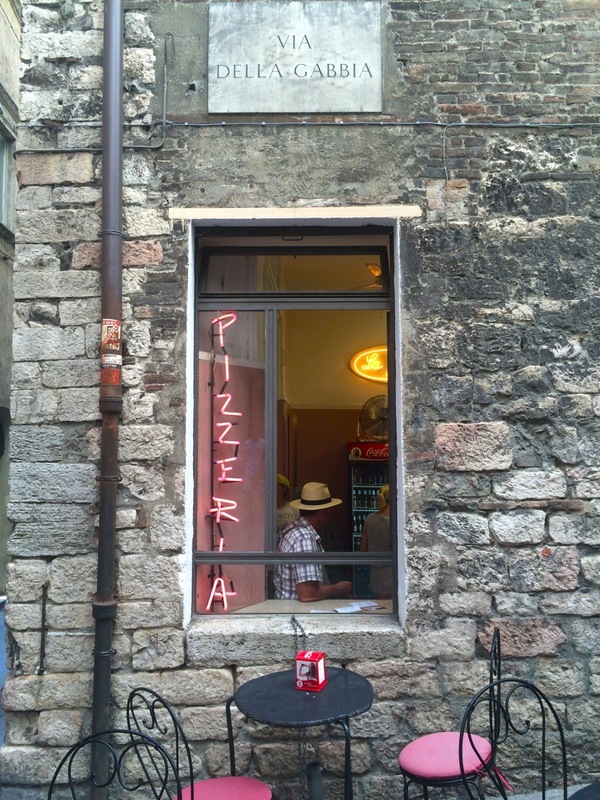 In Perugia we’ll be staying at Hotel Locanda della Posta overlooking Corso Vannucci. 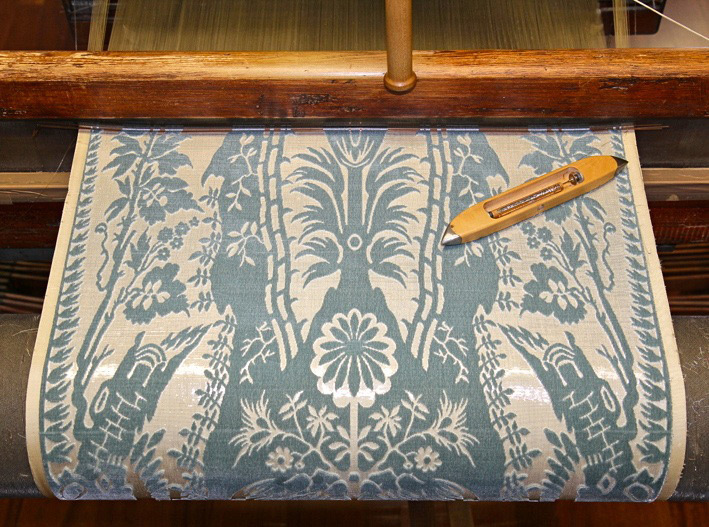 Weavers, textile designers, fibre & craft lovers, textile design students. Transportation – Private bus transfers between Florence hotel and Fondazione Lisio. Private bus transportation between Florence, Prato, Anghiari and Perugia. Public tram and bus transportation in central Florence. 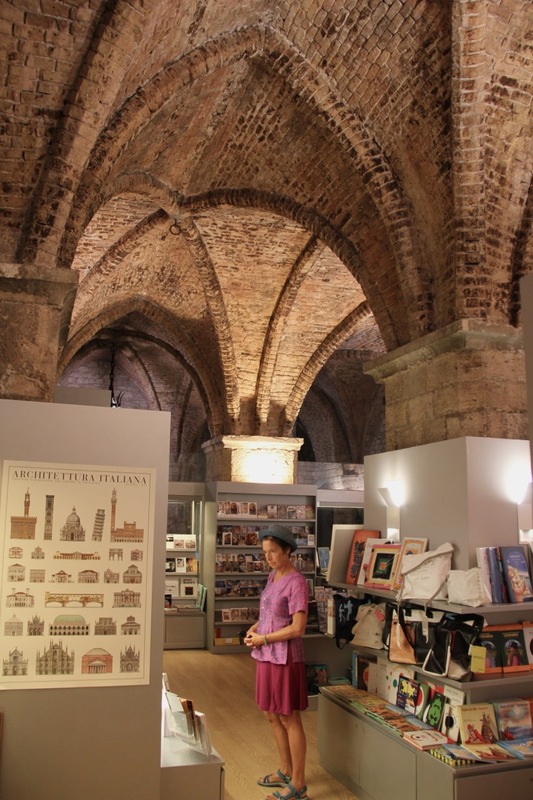 Museum entries – Museo dell'Opera del Duomo, Biblioteca Medicea Laurenziana and Palazzo Davanzati in Florence, Museo del Tessuto in Prato and Galleria Nazionale dell'Umbria in Perugia. Private guided visits - Antico Setificio Fiorentino and La Serra MK Textile Atelier in Florence, Bussatti headquarters Anghiari, Laboratorio di tessitura a mano Giuditta Brozzetti and Studio Moretti Caselli in Perugia.